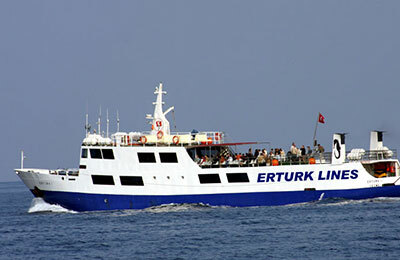 You can use AFerry to book Erturk Lines' ferry between the Greek island of Chios and Cesme in Turkey. Erturk Lines offer the most frequent connections between Turkey and Greece with onboard services that are second to none. AFerry always has cheap Erturk Lines prices and latest special offers. 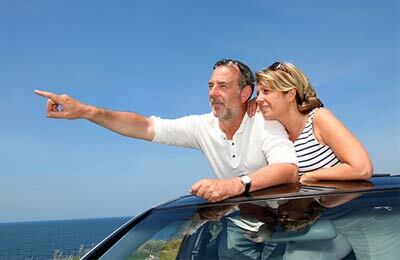 With AFerry, you can book Erturk Lines ferries Cesme or Chios. See below for the latest Erturk Lines prices and sailing times. Click on your ferry route for a detailed timetable. The Turkish ferry company Erturk Lines offers some of the best onboard facilities and services to cater to the tourist traffic between Turkey and Greece. You can travel as a foot passenger or take your vehicle onboard including cars, motorbikes, minibuses, motorhomes and trailers. 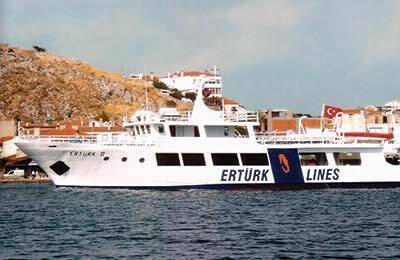 With the journey time being just 45 minutes each way between Chios and Cesme, Erturk Lines offer an enjoyable ferry crossing to remember. How long before departure should I arrive for Erturk Lines? We arrived very late from the airport due to a delayed flight. They saw we were rushing and helped us with the whole process. We just barely made it but it would not have happened without their assistance. The boat itself is very simple but it's only a 45 minute trip. Thanks. We went on a day trip to Cesme in Turkey. The journey is short - about 45mins. Nothing to complain about. Obviously you don't expect a lot on board. I didn't really enjoy Cesme too much though. I wanted to get a taste of a different culture but really the whole place is just designed for tourists and there is nothing really of 'authentic' Turkey - but I imagine the same could be said of lots of places. Don't know if I'd do it again.